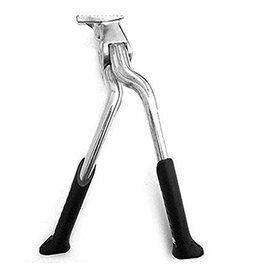 Jumbo is an alloy double kickstand, 100% in aluminum. This prop stand combining strength with mechanical innovation. Its patented movement allows an extra wide movement; the distances between the two legs when legs are expanded is 40cm. 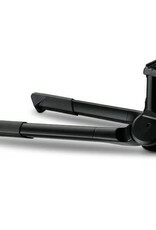 The unique design of this kickstand is designed by Ursus and has an international patent and also the patent "united states design patent". 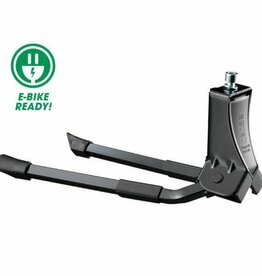 The strength of this kickstand allows to hold up to a maximum of 80 kg of weight of the bike and is suitable for e-bikes (electric bikes,) bikes with kids seats, and cargo bikes. 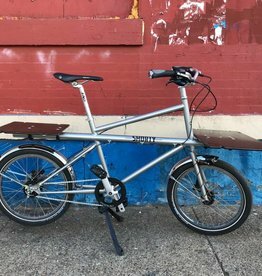 A compact cargo bike with low center of gravity to carry heavy loads. Made in Philadelphia! Firth & Wilson Shorty Cargo Bike 22.5"
The strength of this kickstand allows to hold up to a maximum of 50 kg of weight of the bike and, like the other double kickstands, is suitable for electric bikes, bikes with kids seats, and heavy duty bikes. If you ride a heavily loaded bike, then a double-leg kickstand is almost essential. 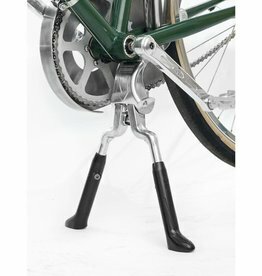 A key feature of the Porteur model is that the two legs spread as the kickstand is deployed and close as it's raised. 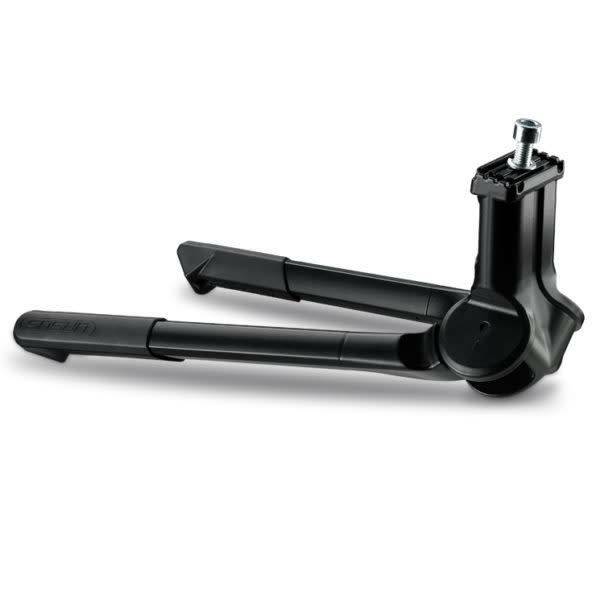 The Copenhagen dual leg kickstand is perfect for city bikes. It has a "scissor-action" that folds both legs to the non-drive side of the bike.